Researchers found that only two percent of online schools outperformed their bricks-and-mortar equivalents in reading. In maths, no online schools were better, and a vast majority were, in fact, quite weaker, writes SEAN COUGHLAN. Charter schools – publicly funded independent schools – have continued to expand across the US, with supporters seeing them as a way of re-energising standards in state education. And the educational technology sector has been pushing to bring some hi-tech start-up innovation to teaching and learning. So it’s easy to see how the next step for a 21st Century education seemed to be a virtual classroom, combining the autonomy of charter schools with the flexibility of learning online. Except a major report, based on research in seventeen US states with online charter schools, has found “significantly weaker academic performance” in maths and reading in these virtual schools compared with the conventional school system. The National Study of Online Charter Schools, the first major study of this growing sector, has taken a wrecking ball to the idea that pupils learn as effectively in such an online setting. 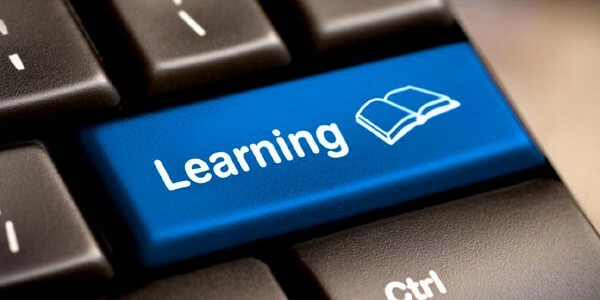 Despite the digital glitz, it concludes that online learning has failed to match the teacher at the front of the class. The report, from researchers at the University of Washington, Stanford University and the Mathematica policy research group, found online pupils falling far behind their counterparts in the classroom. In maths, it was the equivalent of pupils having missed an entire year in school. Online schools are still relatively small in pupil numbers, but this idea of virtual schooling has been growing quickly and has been seen as a significant future alternative to mainstream classes. There are currently about 200,000 pupils in online charter schools in the US, says the study. In 2012-13, there were about 65,000 – and although students pay no tuition fees, based on annual funding levels of $6,000 (£3,900) per pupil, that represented $39m (£25m) in public spending. Online schools, with no physical limits, can grow rapidly, with the study highlighting that one online charter school in Pennsylvania enrolled more than 10,000 full-time pupils. These online schools, otherwise known as “virtual” or “cyber” schools, are defined by teaching more or less everything online. They are an alternative to attending a traditional school, rather than providing additional lessons. But low achievement in these schools, identified by this research, has raised big doubts about this approach. The study found, perhaps unsurprisingly, that there was much less teacher contact time in virtual schools. On average, pupils in bricks-and-mortar classrooms received the same amount of teacher time each day as the virtual pupils received on-screen each week. The online schools relied much more on students driving their own learning and often determining the pace at which they advanced. And the biggest problem identified by the researchers was the difficulty in keeping online pupils focused on their work. “Challenges in maintaining student engagement are inherent in online instruction,” said report co-author, Brian Gill. The researchers compared the performance of pupils in online schools with their equivalents in the mainstream schools, in terms of gender, ethnicity, relative wealth or poverty and the prior attainment levels. The most consistent difference in online schools was a disproportionately high intake of white students. James Woodworth, of Stanford’s Centre for Research on Education Outcomes, described the findings as “sombre,” but said that, at least, they provided evidence for discussions about the future role of online schools. The University of Washington’s Center on Reinventing Public Education suggested that the findings showed the need for a better regulatory framework for online schools. How do you inspect standards in such a different type of school? What should be the admissions rules for virtual schools, so they can teach the type of pupils who would benefit? And how can for-profit providers be incentivized to raise standards rather than recruit more students? Nina Rees, the group’s President, said failing charter schools should be closed – and that included online charter schools. But she highlighted that this report only examined schools that were fully online and that there were many successful examples of so-called “blended” learning, where some of the learning was online, but there was also a traditional classroom and teacher. The study also highlights certain groups who benefit from online schools – such as rural students with limited options, students at home with health problems, those with families moving around the country and those who, for whatever reason, did not fit in with a conventional school. The academy called for a more “productive direction” to find ways to strengthen online schools. Because, as it points out, this is a form of education being chosen by a growing number of American families.